ezController Access Point Management software provides a robust suite of tools for IT managers, installers and network administrators who deploy, manage and maintain wireless networks. With EZ Controller, EnGenius Wireless Indoor and Outdoor Access Points and Client Bridges can be configured, controlled and monitored from one central location. 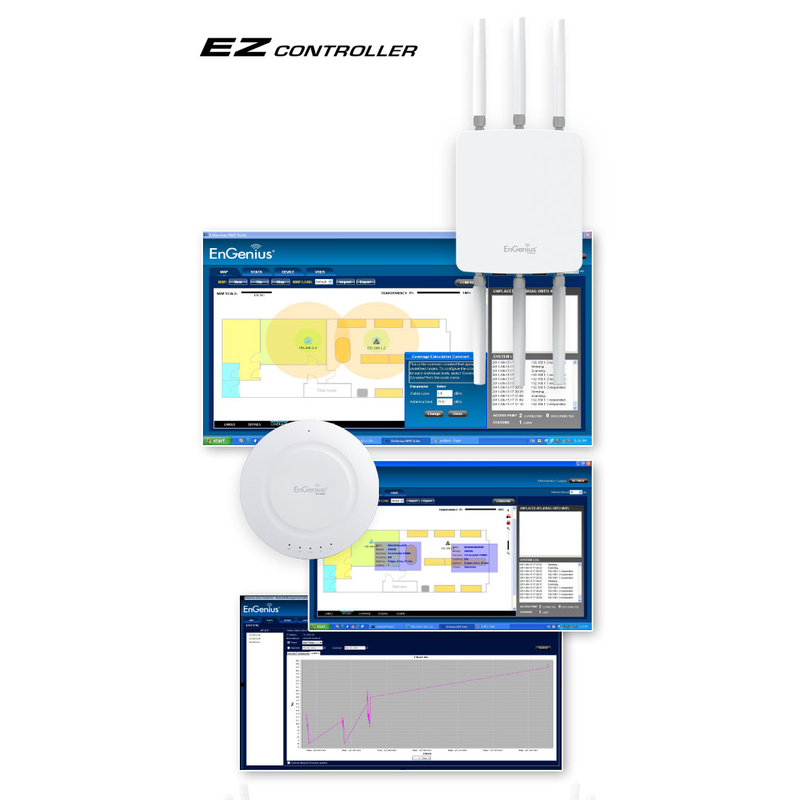 EZ Controller is a valuable tool for organizations that deploy multiple EnGenius long-range, versatile wireless networking products into complex architectural or environmentally-challenging networking environments.